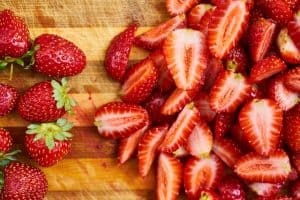 If you’re interested in making your own kombucha, these must-read tips for making kombucha at home will help to ensure that you get the perfect brew every time. Kombucha has been lauded for it’s health benefits for over 2000 years, but this fermented tea has recently experienced an explosion in popularity. 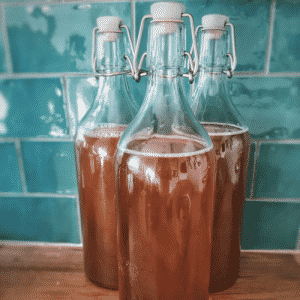 If you’re interested in making your own Kombucha at home, then the first thing you’ll need is a Kombucha Starter Kit. We recommend this Kombucha Brewing Kit from The Kombucha Shop. When it comes to Kombucha, not all teas are created equal. Do not use teas containing oils as they can harm your scoby. 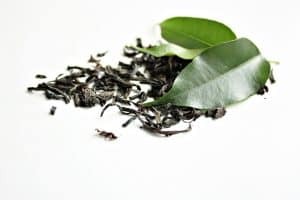 Examples of teas that contain oils are Earl Grey (contains bergamot) and flavored teas. If you are sensitive to caffeine, use decaffeinated tea. Let your regular tea steep in a cup of hot water for 60 seconds then discard the water and then use the teabags to make your kombucha. By using this method, approximately 80-90% of the caffeine will be released. Avoid washing your hands with an antibacterial soap before making kombucha tea. Kombucha is jam-packed with good bacteria, and washing your hands with antibacterial soap can destroy this good bacteria produced by the culture. Instead, wash your hands with hot water, or use plain vinegar to wash both your hands and the materials you’ll be using. You may also want to use non-latex gloves when you’re touching the scoby directly. The most commonly used type of sugar for brewing kombucha is refined white sugar, which works great. 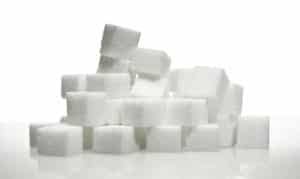 You might think that using a raw sugar will increase the health benefits of your kombucha, but this is incorrect. Raw sugars are not recommended for use in kombucha as they are difficult for the SCOBY to digest. Additionally, you should not use honey as a sugar as it’s anti-microbial properties can kill the culture. It’s important to avoid using a plastic container for brewing and storing your Kombucha, as plastic can leach chemicals. Metals are also not a good choice, as they can corrode and damage your SCOBY. Kombucha Brewing Kit from The Kombucha Shop comes with a 1 gallon brewing jar made from thick glass which is an excellent option. 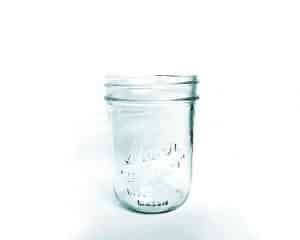 Alternatively, you can use a large mason jar or any wide-mouthed glass jar as your brewing container. You do not need to sterilize your jar before brewing/storing your Kombucha and you should definitely avoid using bleach. The best method for cleaning your Kombucha containers and jars is to either wash in the sink with hot water and a little white vinegar, or run through the dishwasher with just water, no detergent. Cold temperatures will make your culture grow slowly, so make sure you keep your jar somewhere warm and dark, like the back shelf of your kitchen pantry. The temperature should stay between 70 and 86 degrees fahrenheit. Kombucha tea is healthy for everyone in the family, including the kids! If your little ones don’t find the flavor of kombucha palatable, you can flavor the tea by adding strawberries, lemons, peaches, apple or pineapple. Wait for at least 12 to 24 hours for the flavors to come together before serving. Enjoy!